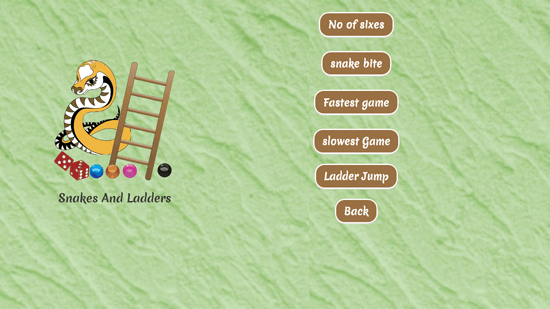 SnakesAndladders is a free arcade game that is based on the classic Indian board game snakes and ladders and is developed for Windows 8 and 8.1. The game comes with a dice that has each side numbered from one to six, different colored token pieces for each player. The board of snakes and ladders has grids in it till it counts hundred, there are snakes and ladders made on the board on different numbers. If you reach a number that has mouth of snake on it then you will have to follow it and come to the place where its tail is. The player who reaches the number that has ladder made on it then he can climb up and reach the number where it stops on the board. SnakesAndladders has same features of the board and the equipment used in the game to play it. The arcade game of snakes and ladders is played between two or more players. 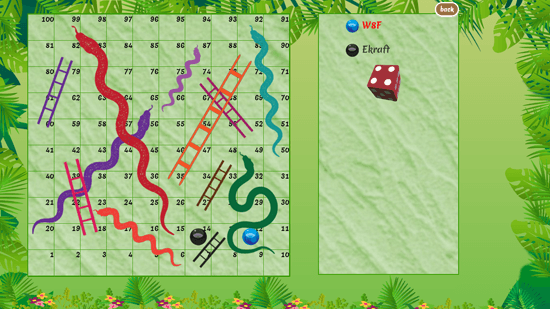 In SnakesAndladders, if you don’t have anyone to play with then you can play it with the computer using single player mode. When the game starts you have to specify your name to be displayed on the game. The player rolls the dice that is placed on the top right side below the names of the players. The player whose turn it is, his name is highlighted with bright red color. The arcade game has different record lists such as no. of sixes, snake bite, fastest game, slowest game and ladder jump. Other arcade games which you can try out Pinball and Brick Breaker. It has good user-interface, mostly with green color. It has clear and minimal layout with everything right on its place. The game is paused automatically if you switch to other app in between playing the game.